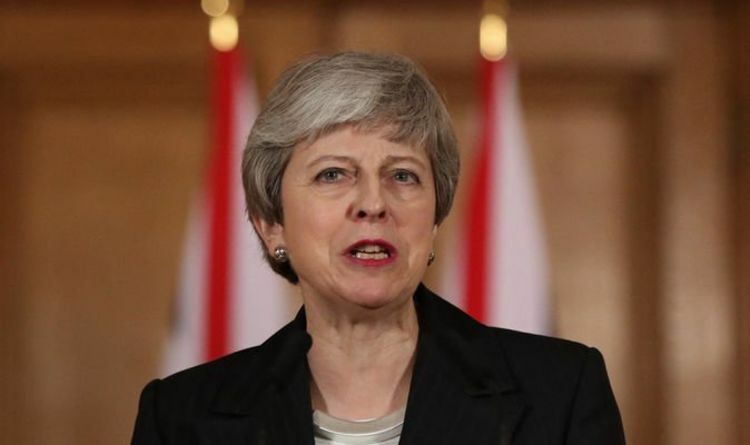 She seemed genuinely apologetic to the people of Britain, for the mess that we have witnessed in the last two years and she offered "great personal regret". She has acknowledged that we have had enough. But even as she spoke, she still came over as resolute - determined to get her withdrawal deal over the line, and utterly withering towards its opponents, who have stalled her deal. The new deadline will still cause problems. The president of the European Council, Donald Tusk, has offered Mrs May the extension on the condition that it can only happen if Parliament now approves her deal. If that doesn't happen, we could still be facing a no-deal scenario. So the Prime Minister has to face down her critics. She has to put Speaker John Bercow's sabotage back in the box, perhaps revise the deal once more, and sideline the naysayers. She goes today to Brussels to iron out the details and if it goes her way, a third Meaningful Vote will be on the table, probably for next Tuesday. Once more into the breach - and for the country's sake, we can only hope that she brings it off. YOUR Daily Express has long campaigned for cystic fibrosis. We believe it is of paramount importance that sufferers get the drugs they need - and that the NHS is able to make a deal with US pharmaceutical giant Vertex, producer of three CF wonder drugs. Today there's a glimmer of hope as delegates from Vertex meet NHS England and drugs body NICE in Manchester. In the meantime we urge readers who haven't yet signed our petition - demanding that NHS England seal a deal with Vertex - to make their mark. We have more than 83,400 signatures but if we get 100,000 this automatically triggers a debate in Parliament. Please get behind it - for the sake of the UK's 9,000 CF sufferers. LOTTERY winners come in different types. There's the unassuming ones who "won't change", and those who crack open the champagne and embark on an exciting new life. It seems factory worker Ade Goodchild, 58, will be the latter. One of the UK's biggest ever lottery winners with £71million, he's already announced the prize "bloody will change me or at least I'll give it a damn good go". He's left his job, saying "There'll be no more shift work for me" and vows to travel, buy a new home and go to top sporting events. Ade, we salute your spending spirit.